It always makes me smile when I look at my design wall and it looks like it has serious A.D.D. On top are the sewing machines for the Quilter's Garden Swap. Can't wait to get the Rotaries in Bloom blocks up with them. Then the stars I've finished for the Zodiac Stars quilt. And lastly are my test blocks for my leaders/enders project, Patches and Pinwheels. 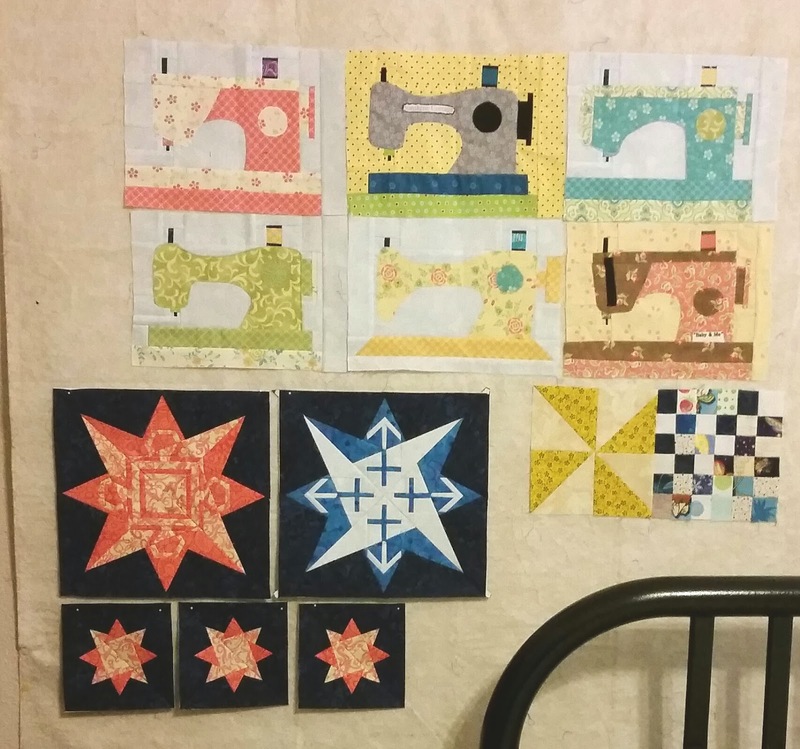 Linking up with Judy for Design Wall Monday at Patchwork Times. I love the sewing machine blocks...great fabric choices! That is an eclectic design wall display! The zodiac stars are wonderful. And I'm always partial to scrappy L&E projects. Your sewing machine blocks are so cute! What fun!! Love your star blocks. My design wall suffers from ADD, as well. I just never knew what to call it! You've got nice projects in the works. Those zodiac blocks are so very detailed! Great work. I especially like that blue one. Hay Cathy! I am just loving that design wall. 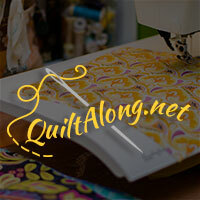 It has great diversity like the rest of us crazy, do-more-than-one-project-at-a-time quilters.